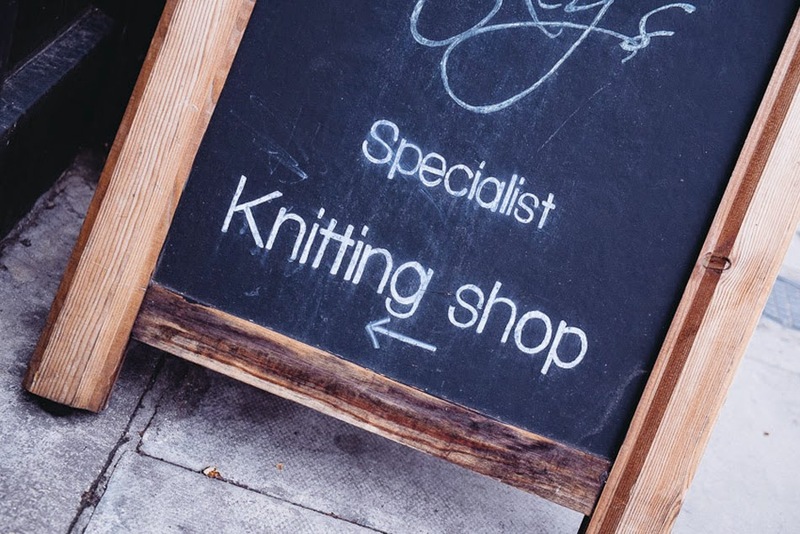 One of the favourite shops from last year's GLYC was Knit with Attitude, on Stoke Newington High Street. They're back with us again this year, and there have been a number of changes at the shop over the last year. 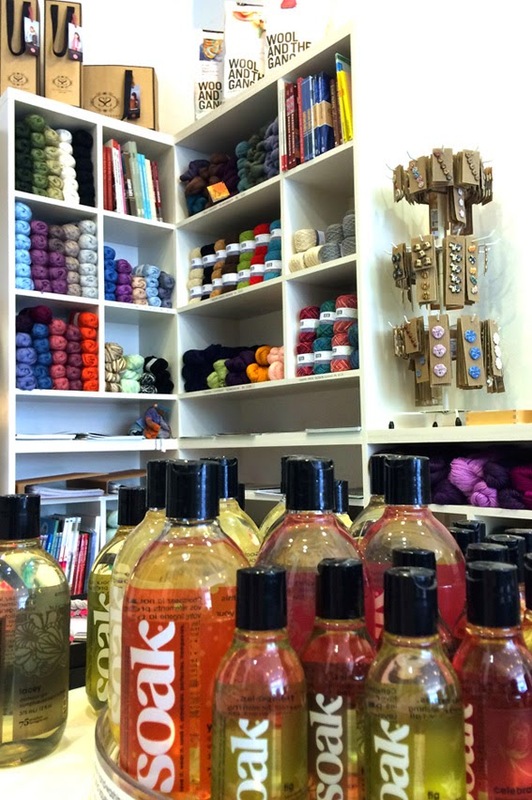 Owner Maya has updated her shop profile to highlight the new facets to this great shop, such as an expanded product range, including adding Wool and the Gang, and Soak (another GLYC sponsor). How would you describe your shop's atmosphere in three words? What makes you different from other yarn stores? 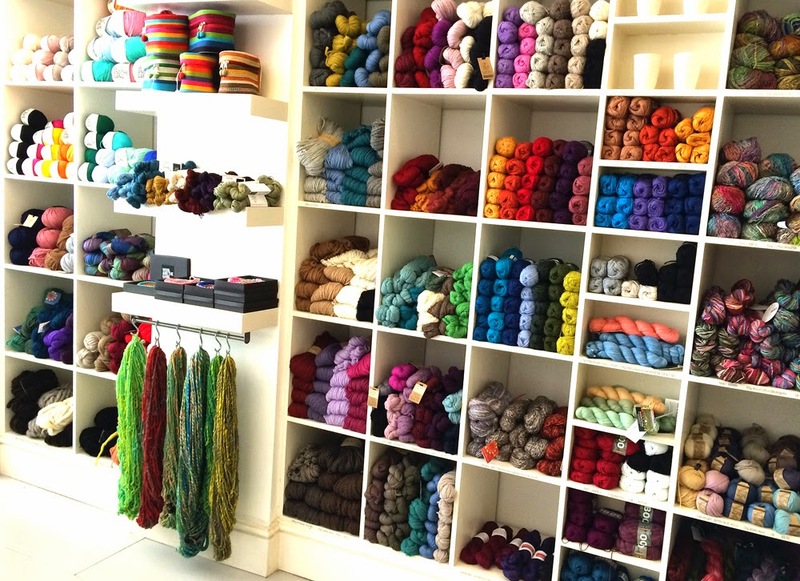 Knit With Attitude specialise in yarns and accessories that are ethical and eco-friendly. 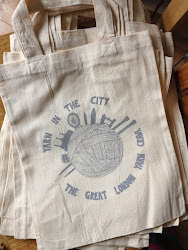 Since the first Great London Yarn Crawl we have gone through some major changes. The shop has been rebuilt making room for lots and lots of new brands and fibre qualities. Many of our brands are specifically linked to projects that are empowering poor communities helping them gain financial independency. This autumn we are extra excited about introducing Rowan yarns in the shop, for instance the Rowan Fine Art range is ethically and sustainably produced in South Africa directly supporting the local community where the yarn is made. What is the most popular type of yarn or product that you carry? This changes a lot over the seasons. In the winter super chunky 'un-spun' Tjokt from Finland, aran organic Wool and Alpaca from Viking of Norway, and Merino knitting kits from London based Stitch & Story do very well. In the summer knitters seem to be more experimental with fibres and colours. Linen Silk from British company Artesano, Shiny Happy Cotton from local Wool and the Gang, Kibou from Japanese Noro and Hokkaido Raw Silk from Danish Designette are all very popular this summer. What expertise or classes do you offer to your customers? We arrange Master Classes, talks and workshops, however our One-to-one sessions remain the most popular as these can be customised to each person's individual needs. And then of course there is our Knit Night, a social gathering the third Thursday every month. There is a lot of joy in knitting and we try to make sure that everyone who visits us discover that. 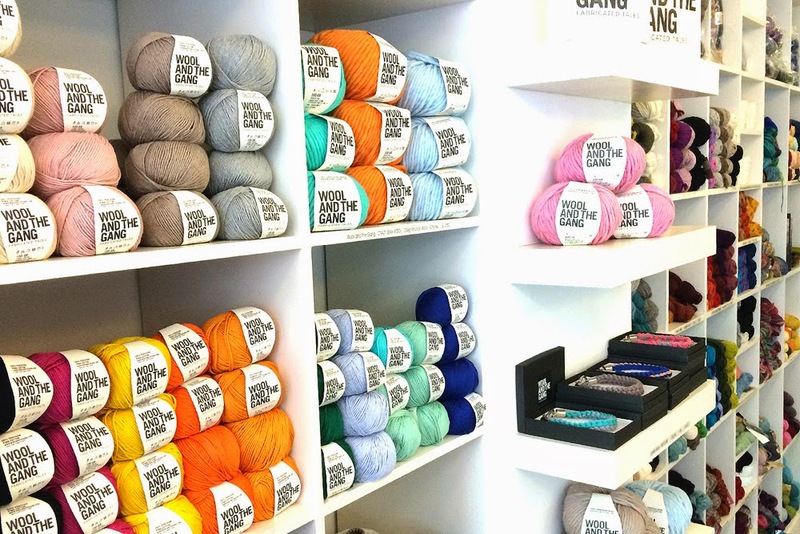 Knit with attitude aims to close the gap between generations and hope to offer a contemporary, inspiring, and welcoming experience when visiting our shop. We believe in building long term customer relationships and truly enjoy being part of our customers’ creative journey offering guidance and encouragement along the way. We are very excited about this year's Yarn Crawl and can't wait to meet you all on the day. What is notable about your part of town/your location? Stoke Newington, Hackney, is known for being a village within London and has its very own sense of community. If you're looking for the usual high street shops and major chains you won't find them here. The area is filled with small independent shops, cafes and restaurants. We have the local Fish Monger, the local Book Store, and of course the local Yarn Shop! Those living in Stokey are very proud of the area and put a lot of effort into maintaining it's uniqueness.